A lot of energy is used by researchers to persuade the authorities to release classified documents concerning the assassination of John F. Kennedy. Is it possible that the CIA and the FBI hold documents that will provide evidence that will reveal the real killers of Kennedy? If they had existed, which I think is unlikely, would they not have been destroyed? I have recently been investigating a case where the British, French and American intelligence agencies joined together in a conspiracy to assassinate Lenin in August 1918. It is nearly 100 years ago that this event took place and although we know virtually the whole story now, it is not because of the release of official documents. In 1993 Gordon Brook-Shepherd decided that he would investigate the case. The former intelligence officer worked as a journalist for the Daily Telegraph and was in a good position to discover what had happened as he was trusted by the British establishment. After all, all the people concerned were long dead and the basic outline of the conspiracy had been revealed in 1931 when the wife of one of the agents involved in the conspiracy published an account based on the diaries of her husband, Sidney Reilly, who had been executed in 1925 by the Russian Secret Police (Cheka) for his part in the assassination attempt. In the next couple of years, two other British agents involved in the plot, Robert Bruce Lockhart and George Alexander Hill, published their accounts of the conspiracy. However, the British government refused to release MI6 files that would have confirmed the story. Brook-Shepherd had a meeting with an unnamed government minister, who had been a close friend for many years. He later recalled that "over several lengthy sessions, I was briefed on everything that had survived in our closed archives on the subject I was dealing with". Eventually he was allowed to see the official documents held by the British intelligence services. He became suspicious when he could not find one reference to Ernest Boyce, the MI6 station chief in Moscow in the summer of 1918 when the conspiracy took place. Brook-Shepherd writes about finding a file headed "Anti-Bolshevik Activities in Russia" but when opened he found it to be completely empty. He eventually reached the conclusion that every document relating to the assassination plot had been destroyed. Brook-Shepherd had no more luck examining the French archives. All the Deuxieme Bureau archives, along with other special security and diplomatic files, were carted off to Berlin by the Germans after the fall of France in 1940. These archives were taken by the Red Army after they seized the German capital in May 1945 and transported to Moscow. After the collapse of communism in the Soviet Union high-level negotiations took place about these archives. An accord was duly signed between the French and Russian governments on 12th November 1992. The first delivery took place on December 1993 and over the next five months an estimated 140 tons of paper arrived in Paris. However, Brook-Shepherd could find no documents relating to the 1918 conspiracy to kill Lenin. According to the French authorities, the Russian government is still holding about 5% of their classified documents. The situation is even more difficult concerning the American involvement in the assassination plot. It is claimed that the Americans did not have an intelligence service in 1918. According to President Woodrow Wilson, the government was opposed to the whole idea of spies and intelligence agents. In a speech he made to Congress on 2nd April 1917, he claimed that in the past it had been used by monarchies and aristocracies to guard their privileged existence and had no place in the new democratic order where the people were entitled to know everything: "Self-governed nations do not fill their neighbour states with spies." Maybe he was unaware that the State Department had dispatched a series of spies and saboteurs into neighbouring Mexico on missions which included an attempt to assassinate the revolutionary leader Pancho Villa. President Wilson was also officially opposed to intervention against the Bolshevik government at the time of the plot. This was partly because he did not want to do anything that increased the power of the British and French empires. Secondly, as a democrat, he had no desire to help the return of the Russian monarchy. In March 1918 he sent a telegram to the Bolshevik government, via the American consulate in Moscow: "The whole heart of the people of the United States is with the people of Russia in the attempt to free themselves for ever from an autocratic government and to become the masters of their own fate." In reality, the Americans had a team of agents in Russia in 1918. The spymaster was Dewitt Clinton Poole, the Consul General in Moscow. America's main agent was Xenophon Kalamatiano, who was condemned to death by the Russian courts for his part in the conspiracy (if you do a Google search for these two men you will see what a great job the American authorities had done in trying to remove details of their involvement in this conspiracy). Despite the efforts of these intelligence services to keep the conspiracy secret we now have the full story. However, it was not until 2001 that all the details were published. The information came from Alexander Orlov, a senior figure in the Russian Secret Police. He was a figure close to Joseph Stalin and was responsible for obtaining the false confessions from Lev Kamenev and Gregory Zinoviev in 1936. During the Spanish Civil War Orlov had the task of eliminating the supporters of Leon Trotsky fighting for the Republican Army and the International Brigades. In July 1938 Orlov was ordered back to the Soviet Union by Stalin. Aware of the Great Purge that was going on and that several of his friends had been executed, Orlov fled to France with his wife and daughter before making his way to the United States. Orlov sent a letter to Nikolai Yezhov, the head of the NKVD, that he would reveal the organizations secrets if any action was taken against him or his family. Orlov was interviewed by the FBI when he arrived in America. He was of course was an excellent source of information on the Show Trials that had been taking place in the Soviet Union (you have to remember at the time the media was reporting that there was indeed a Trotsky inspired plot to overthrow Stalin). However, it was not only events in Russia in the 1930s that he knew about. In 1918 he had been a junior officer in Cheka and actually took part into the investigation of Xenophon Kalamatiano. Orlov was allowed to stay in America but he was told that he could not publish any information about his work in the Soviet Union without permission. After the death of Joseph Stalin he published The Secret History of Stalin's Crimes (1953). This did not include details of the plot to kill Lenin. He had written about it but was refused permission to publish it. Orlov died in Cleveland, Ohio, on 25th March 1973. One of the FBI agents who interviewed Orlov was a man named Edward P. Gazur. He befriended Orlov and he inherited his unpublished memoirs. He allowed this material to be seen by Gordon Brook-Shepherd, who used it to help him write Iron Maze: The Western Secret Services and the Bolsheviks (1998). The book reveals that the plot had been instigated by Colonel Eduard Berzin, a senior commander of the Lettish (Latvian) regiments that had been protecting the Bolshevik Government ever since the revolution. That was true but he was also an agent of Cheka. Berzin had his first meeting with Robert Bruce Lockhart, the Head of Special Mission to the Soviet Government with the rank of acting British Consul-General in Russia on 14th August, 1918. Lockhart, who described Berzin as "a tall powerfully-built man with clear-cut features and hard steely eyes" was impressed by Berzin. He told Lockhart that he was a senior commander of the Lettish (Latvian) regiments that had been protecting the Bolshevik Government ever since the revolution. Berzin insisted that these regiments had proved indispensable to Lenin, saving his regime from several attempted coups d'état. On 25th August 1918, Consul-General Dewitt Clinton Poole attended a meeting with French Consul-General Joseph Fernand Grenard where the plot was discussed. Poole arranged for 200,000 rubles to be contributed to the operation. Colonel Henri de Vertemont, the leading French intelligence agent in Russia also contributed money for the venture. Over the next week, Sidney Reilly, Ernest Boyce and George Alexander Hill had regular meetings with Colonel Belzin, where they planned the overthrow of the Bolshevik government. During this period they handed over 1,200,000 rubles. Unknown to MI6 this money was immediately handed over to Felix Dzerzhinsky, the head of Cheka. So also were the details of the conspiracy. Berzin told the conspirators that his troops had been assigned to guard the theatre where the Soviet Central Executive Committee was to meet. A plan was devised to arrest Lenin and Leon Trotsky at the meeting was to take place on 28th August, 1918. Robin Bruce Lockhart, the author of Reilly: Ace of Spies (1992) has argued: "Reilly's grand plan was to arrest all the Red leaders in one swoop on August 28th when a meeting of the Soviet Central Executive Committee was due to be held. Rather than execute them, Reilly intended to de-bag the Bolshevik hierarchy and with Lenin and Trotsky in front, to march them through the streets of Moscow bereft of trousers and underpants, shirt-tails flying in the breeze. They would then be imprisoned. Reilly maintained that it was better to destroy their power by ridicule than to make martyrs of the Bolshevik leaders by shooting them." Reilly's plan was eventually rejected and it was decided to execute the entire leadership of the Bolshevik Party. The British government selected the man who they wanted to be the head of the new Russian government. His name was Boris Savinkov. It was a controversial decision as Savinkov had a very dubious past. He was a member of the Socialist Revolutionary Party and had been involved in several acts of terrorism and had been involved in the assassination of Vyacheslav Plehve, the Minister of the Interior, in 1904. Savinkov had been a member of the Provisional Government in 1917 and had a deep hatred of the Bolsheviks. Winston Churchill, the Minister of War, was a passionate supporter of intervention, and on the advice of Sidney Reilly, had selected Savinkov was the best man to lead the government. Prime Minister David Lloyd George had doubts about trying to overthrow the Bolsheviks: "Savinkov is no doubt a man of the future but I need Russia at the present moment, even if it must be the Bolsheviks. Savinkov can do nothing at the moment, but I am sure he will be called on in time to come. There are not many Russians like him." The Foreign Office was unimpressed with Savinkov describing him as "most unreliable and crooked". Churchill replied that he thought that he "was a great man and a great Russian patriot, in spite of the terrible methods with which he has been associated". Churchill rejected the advice of his advisors on the grounds that "it is very difficult to judge the politics in any other country". At the last moment, the Soviet Central Executive Committee meeting on 28th August, 1918, was cancelled. Three days later Dora Kaplan attempted to assassinate Lenin. It was claimed that this was part of the British conspiracy to overthrow the Bolshevik government and orders were issued by Felix Dzerzhinsky, the head of Cheka, to round up the agents based in British Embassy in Petrograd. The naval attaché, Francis Cromie was killed resisting arrest. According to Robin Bruce Lockhart: "The gallant Cromie had resisted to the last; with a Browning in each hand he had killed a commissar and wounded several Cheka thugs, before falling himself riddled with Red bullets. Kicked and trampled on, his body was thrown out of the second floor window." Ernest Boyce and Robert Bruce Lockhart were both arrested but Sidney Reilly had a lucky escape. He arranged to meet Cromie that morning. He arrived at the British Embassy soon after Cromie had been killed: "The Embassy door had been battered off its hinges. The Embassy flag had been torn down. The Embassy had been carried by storm." Reilly now went into hiding and after paying 60,000 rubles to be smuggled out of Russia on board a Dutch freighter. George Alexander Hill also managed to escape. Consul-General Dewitt Clinton Poole, who was on a visit to Siberia at the time, managed to get to Finland when he heard of the other arrests. His main agent in Russia, Xenophon Kalamatiano, was not so lucky and was arrested. Alexander Orlov was there when Kalamatiano was interviewed. He refused to answer questions but one of the officers noticed that he never parted with the cane he held in his hands. The officer asked to see the cane and began to examine it closely. Orlov told the FBI: "Kalamatiano turned pale and lost his composure. The investigation soon discovered that the cane contained an inner tube and he extracted it. In it were hidden a secret cipher, spy reports, a coded list of thirty-two spies and money receipts from some of them." On 2nd October, 1918, the British government arranged for Robert Bruce Lockhart and Ernest Boyce to be exchanged for captive Soviet officials such as Maxim Litvinov. After his release the remaining plotters were put on trial. They were all found guilty and Xenophon Kalamatiano and Colonel Alexander V. Friede were condemned to death. The court also passed death sentences on Lockhart, Sidney Reilly, Joseph Fernand Grenard and Colonel Henri de Vertemont, noting that "they had all fled". They would all be shot if ever found on Soviet soil. Friede was executed on 14th December but Kalamatiano was sent to Lubyanka Prison. In the early weeks of his incarceration he was taken out several times into the courtyard for a mock execution. However, Felix Dzerzhinsky had decided that Kalamatiano was more use alive than dead. Negotiations for Kalamatiano release began straight away. The Bolshevik government told American officials that "Kalamatiano had committed the highest crime against the Soviet state, was properly tried according to Russian revolutionary law and is still considered dangerous to Soviet Russia." It was made clear that Kalamatiano would remain in custody as long as the American government gave support to the White Army in the ongoing Russian Civil War. On 19th November 1920 Kalamatiano managed to send out a message to the man who recruited him as an intelligence agent, Professor Samuel N. Harper: "Just a few words to tell you, and whichever of my friends you run across, that I am still very much alive - although skinny... Yesterday celebrated my 30th month of imprisonment in various institutions... However, as whatever happens outside finally is concentrated here I consider I have been given a box seat to watch the revolution and am not complaining of such an unusual opportunity. Several of your acquaintances have been here at various times. I trust sometime to tell you more about them all. At the present, names on paper are odious things... If I pull out alive, and I have every hope of doing so now - although at one time chances seemed to be rather on the undertaker's side - I hope we will have a chance of talking things over." Kalamatiano was warned by Dewitt Clinton Poole that he must not tell anyone about his activities in Russia. He was dismissed from the State Department in December 1921 and given a job as a foreign language instructor at the Calver Military Academy. Despite official dissuasion, he did write his memoirs but no publisher was willing to accept his manuscript. Xenophon Kalamatiano was a keen hunter and after one expedition in the winter of 1922 he suffered a frozen foot. It turned poisonous and toes had to be amputated. "I am departing the world in particles" he wrote from hospital to his old mentor, Professor Samuel N. Harper. The poison continued to attack his body and eventually damaged his heart. He died on 9th November 1923 of a condition certified by the doctors as "sub-acute septic endocarditis". He was forty-one years old. 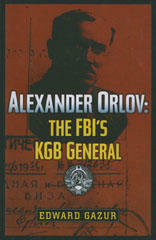 The final part of the story was revealed in Alexander Orlov: The FBI's KGB General, a book published in 2001. FBI agent Edward P. Gazur, who interviewed Alexander Orlov, claims that Ernest Boyce the MI6 section head in Russia in 1918 was actually a double agent and in the pay of the Soviets. Nigel West has argued that "the reason why this hasn't come out until now is that Orlov, who was not debriefed by British intelligence, never told anybody but Edward Gazur." Orlov's The March of Time, Reminiscences, was not published until 2004. 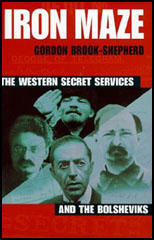 Gordon Brook-Shepherd, the author of Iron Maze: The Western Secret Services and the Bolsheviks (1998) has pointed out: "Entitled The March of Time, Reminiscences by Alexander Orlov, it is 655 pages long and deals in twenty-nine chapters with episodes in his career as a soldier and Soviet secret service man, from those first years of Bolshevik rule down to his own break with Stalin in 1939 and his adventurous flight from his final post in Spain to North America. Much of that Spanish story and his escape from Stalin's clutches had already appeared in print. This account of the earlier period had never been published or even circulated. It covered half the book, much of it on that first decade of Bolshevik power with which I was concerned. (The whole of Chapter Five, for example, gives the real story, over seventy-six pages, of the entrapment of Boris Savinkov, the 'great conspirator', and the most dangerous of all the Bolsheviks' Russian foes.) I have quoted extensively from both of these sections, not only because of the fascinating human detail they provide, but because I came to regard them, after frequent counter-checks, as totally reliable." John Scarlett, the Chief of the Secret Intelligence Service, announced in the run up to its centenary that MI6 would "commission an independent and authoritative volume on the history of the Service's first forty years". Keith Jeffery, the Professor of British History at Queen's University, Belfast, was chosen to carry out the task and MI6: The History of the Secret Intelligence Service: 1909-1949 was published in 2010. The book includes some details of the activities of MI6 agents in Russia in 1918 but there is no mention of what is now known as the "Lockhart Plot". The book does have one reference to Ernest Boyce. It accuses Boyce of sending Sidney Reilly back into Russia in September 1925 to have secret meetings with the leaders of Monarchist Union of Central Russia. "Boyce had to take some of the blame for the tragedy. Back in London, as recalled by Harry Carr, his assistant in Helsinki" he was "carpeted by the Chief for the role he had played in this unfortunate affair." He does not add that the group had been set up by Felix Dzerzhinsky, the head of the Soviet Secret Police, in order to gain revenge for the plots against Lenin. Only a few months earlier, Boris Savinkov, the man who the British government wanted to become the new leader of the Russian government, after the assassination of the Bolshevik leaders, had been trapped in the same way. Savinkov died in police custody on 7th May, 1925, Reilly was executed on 5th November. The reasons why the intelligence services of Britain, France and United States covered up the Lockhart Plot was not so much because they were carrying out illegal acts such as the assassination of foreign leaders. The main concern was to hide the fact that they were so easily duped by Cheka and that one of their key officers was a double agent. Could this also true of the non-release of CIA and FBI files on the assassination of John F. Kennedy? Maybe they are just covering up their own incompetence.